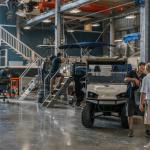 Emerald Coast Marine is conveniently located on the north side of the Choctawhatchee Bay in Niceville, Florida, just minutes from the Destin Pass. Our ideal waterfront location allows us to service boaters whether by land or by water. We also have concierge services available for pick-up and delivery. 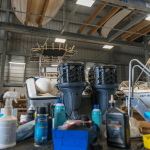 We understand that the time spent on your boat is valuable and our service department will do everything that we can to get you back on the water as quickly as possible.